From the beginning of 2011, individuals and legal entities in Switzerland will be able to submit documents electronically to courts and federal and cantonal authorities. Swiss Post has revised its Secure-Mail service in recognition of the Confederation’s e-Government campaign. The new IncaMail service, which is available with immediate effect, is easy to use and guarantees maximum confidentiality. Administrative organizations, courts and businesses now all have the opportunity to fully integrate IncaMail and make it available to their employees. With the new launch of IncaMail, Swiss Post is underscoring its electronic core competencies and further expanding its electronic services. Swiss Post has launched its revamped Secure-Mail IncaMail service in perfect time for the rollout of the new e-Government legislation. As of the start of 2011, all authorities as well as courts at both the federal and cantonal level will be obliged to accept documents sent electronically via the Secure-Mail services approved by the Confederation. IncaMail meets these requirements. Electronic registered mail is already permitted for written e-mail correspondence between the various authorities, both at the federal and cantonal level. The new IncaMail service is available with immediate effect. It is based on a new architecture and contains innovate enhancements. One definite advantage is the higher security and the patented SAFE technology (Secured Attached File Encryption). Until now, recipients have been required to download their messages from a server. With the new system, however, both the message text and accompanying documents can be encrypted and sent as an integral part of the e-mail. The e-mail can be opened directly via protected access. Thanks to patented direct delivery, Swiss Post now also meets the most discerning needs of particularly security-sensitive companies such as insurers and banks. IncaMail will also be more flexible to use. This is a particularly attractive feature for medium-sized and large companies. As such, these companies will have the option of fully integrating the technology and making it available to their employees. The legal authoritative bodies of the directorate of justice, upper court and social security court of Canton Zurich are introducing IncaMail, as will the cantonal authorities in Aargau, Basel-Land, Solothurn, Graubünden, Glarus, Jura and Fribourg, among others. With the help of IncaMail, they will be able to process written correspondence with important documents even more efficiently. IncaMail is already well established with many business customers. The latter use IncaMail to speed up the processing of their quotation and contract management activities, as well as for billing purposes. IncaMail can be easily integrated into Outlook and other e-mail programs. Users wishing to send confidential mails can take advantage of the encryption function, while those who wish to correspond via legally valid, electronic registered e-mails can choose the additional option which provides confirmation of mailing and receipt. 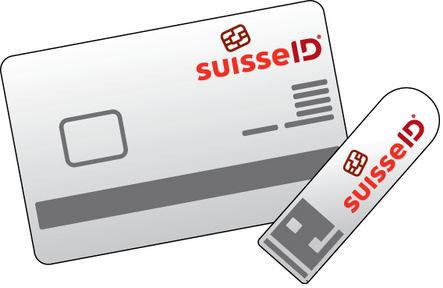 Owners of SuisseID, the digital identity of Swiss Post, will benefit from a simplified registration process. They can thus submit electronically signed documents as electronic registered mail with just a few clicks of the mouse. With the new launch of IncaMail, Swiss Post is underscoring its electronic core competencies with respect to the secure and confidential mailing of documents, and thus extending the integration of physical and electronic postal services.